Richard Marko Vrtikapa, age 91, of Merrillville, IN passed away peacefully on Tuesday, January 1, 2019. He was preceded in death by his parents, Marko and Bosiljka Vrtikapa; his beloved wife Rose Mary, and their daughters Karen and Susan Vrtikapa, brothers Mirko Vrtikapa, Steve (late Judith) Vrtikapa, Gordon Vrtikapa and sister Dessa Bogosian. He is survived by two daughters: Kathy (Jay) Friedlander of Carmel, IN , Nancy (Tom) Allesee of Palm Coast, FL; five grandchildren: Susan, Michael and Karen Friedlander and Taylor and Tyler Allesee; sisters Olga (late Ted) Vukelich of Midland, PA, Anka (late Theodore) Rudman, and Milena (late George) Rudman of Valparaiso, and brother John (Sue) Vrtikapa of Hobart, sister-in-law Geraldine (late Mirko) Vrtikapa of Merrillville, IN; sister in-law Barbara (Jim) Shinovich of Crown Point and sister-in-law Sandra Jo (late Russell) Maranto of Harvey, IL; many nieces and nephews and Kumovi Nick Tarailo and Donna Blesich. Born in Gary, IN, Richard graduated from Emerson High School; after which he served in the Navy during WWII and worked 50 years for USSteel, Gary IN. Richard always had a smile, and was known for his polite, loving and helpful nature. Richard was a true gentleman in every sense of the word. Known as “Uncle Richard” by many young people. He was a dedicated member of St. Sava Serbian Orthodox Church, and served on the church board for many years. He was a supporting member of the St. Sava Serbian Sisters, Karageorge Choir and St. Sava Historical Society and Lifeline of Chicago. Visitation will be held at Calumet Park Funeral Chapel, 7535 Taft St., Merrillville, IN on Thursday, January 3, 2019 from 6:00 PM to 8:00 PM with a Pomen Service at 7:30pm V. Rev. Marko Matic officiating. Funeral services will be held at 10:00 AM on Friday, January 4, 2019 DIRECTLY at St. Sava Serbian Orthodox Church, Merrillville, IN. Interment Calumet Park Cemetery. Memorial contributions may be made to Lifeline Humanitarian Organization of Chicago, 444 N. Michigan Ave. Suite 1200, Chicago, IL 60611 or St. Sava Serbian Orthodox Church, Merrillville, IN. It is with great sadness that the family of Dr. Rade Pejic, of New Orleans, LA and Michigan City, IN, announces his passing at the University of Chicago Medical Center on August 6, 2018 due to complications following a recent heart attack. He was 78. 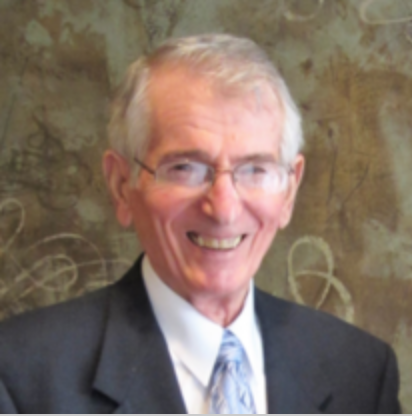 Dr. Pejic was born as an American citizen on February 3, 1940 in Belgrade, Yugoslavia (now Serbia) to Dr. Slavko Pejic (1896-1976) and Savka (Musulin) Pejic (1904-1984). After surviving the German occupation of Yugoslavia during World War II, he arrived at New York Harbor in 1951 with his mother and sister to escape Communist rule. In America, he struggled through a painful childhood and adolescence being separated from his parents and living with step relatives. He graduated from the University of Pennsylvania in 1962 with a B.A. in chemistry and from the University of Pittsburgh – School of Medicine in 1966. He served as a surgeon and Lieutenant Commander in the US Navy Medical Corps from 1968 to 1974, to include residencies at the Presbyterian University Hospital (Pittsburgh, PA) and the Portsmouth Naval Hospital (Portsmouth, VA), two tours on the USS Repose and the USS Sanctuary hospital ships during the Vietnam War where he performed trauma surgery on and saved the lives of many young Sailors and Marines wounded in battle, and was the assistant chief of surgery at Naval Hospital Boston (Chelsea, MA). 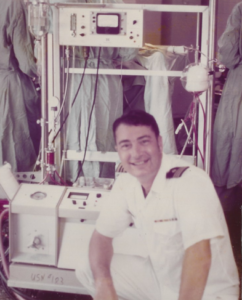 After being honorably discharged from the military, Dr. Pejic became the attending surgeon at Cooper Medical Center (Camden, NJ) in 1974 and then a cardiovascular fellow at St. John Hospital (Detroit, MI) in 1977. In 1978, he settled in Michigan City, IN for a near 30-year unparalleled career at the Medical Group of Michigan City where he performed general, vascular, thoracic, angioplasty, and trauma surgery on thousands of patients at St. Anthony Hospital, LaPorte Hospital, and the former Memorial Hospital. He is survived by his wife, Dr. Leslie Kramer Pejic, whom he married in 1973, after serving with her father, CAPT Scott Gregory Kramer, who was a surgeon and commanding officer at the Naval Hospital Boston. They enjoyed 45 cherished years of marriage and raising a family together. He is also survived by their five children: Lazar Scott (Jennifer) Pejic, JD, of Valparaiso, IN; Rade Nicholas (April) Pejic, MD; Nicholas Gregory (Laura) Pejic, MD, both of New Orleans, LA; Chelsea Alexandra Pejic, JD, of Chicago, IL; and Gregory Halsted Pejic, MPP, of Washington, D.C. Dr. Pejic is survived by seven grandchildren: Scott; Jonathan; William; Grace; O’Hara; and twins Sofija and Isabela Savka Pejic. Dr. Pejic was also awaiting his soon-to-be eighth grandchild, Elizabeth Leslie Pejic. He is survived by his sister, Smiljana Pejic, and niece, Kristina Pejic, both of Collingswood, NJ, and his cousin, Branko (Valeria) Pejic, MD, of Cocoa, FL. Dr. Pejic is preceded in death by his father and mother-in-law Scott Gregory Kramer, MD (1923-1998), and Margaret Jean Kramer (1924-2012). Dr. Pejic valued hard work and family above all else. He loved performing surgery and felt most at home in the operating room. He knew that good surgical judgment and extreme attention to detail led to the best outcomes for his patients. He enjoyed mentoring others, from high school students to colleagues, and was a consistent role model for doing your job well. He believed that family should stick together and care for each other through thick and thin. He considered his pets as family too—most recently his beloved Buster, who misses him dearly. He believed in putting America first and was a fierce defender of the United States, especially our values of liberty and freedom, which he saw the Communists decimate in Yugoslavia after World War II. For fun, Dr. Pejic enjoyed rooting for Pitt, the Steelers, and the Saints. He had a spirited sense of humor and enjoyed classic movies, smoking a good cigar with friends, and talking with his family on the porch. We will miss him greatly. He was one of a kind and irreplaceable. An evening celebration of his life and dinner will be held at Pottawattomie Country Club, 1900 Springland Ave, Michigan City, IN, for family, friends, and anyone who would like to honor his memory starting at 6 PM on Saturday, September 15, 2018. Further details for RSVP will be forthcoming on social media. A funeral service is not planned at this time; interment of the ashes will be in the Arlington National Cemetery (VA) at a later date. Friends and acquaintances of Dr. Pejic may send condolence cards to his family at 2606 Oak St., Michigan City, IN 46360. In lieu of flowers, memorial donations may be given in Dr. Pejic’s honor to the Michiana Humane Society, 722 Indiana Highway 212, Michigan City, IN 46360 (https://michianahumanesociety.org/in-memory). The Clergy, Executive Board, and Members of St. Sava Serbian Orthodox Church express condolences to the family of Manda (Andrejich) Ellesin. Memory eternal. Manda (Andrejich) Ellesin (nee Sertic), age 91 of Hammond, passed away peacefully Saturday, June 17, 2017. Manda was born on January 11, 1926 in East Chicago, IN to parents Joseph and Maria Sertic. She was a devoted member of St. Sava Serbian Orthodox Church, and member and treasurer of the St Sava Serbian Sisters (Kolo). She will be remembered for her dedication and working long hours making nut rolls and strudels for many church functions, she was also known for her famous “tortes”. Manda was employed by Inland Steel Company and worked in the Executive Dining Room. She was very dedicated to her family and her church. Manda always put everyone else first and never wanted anything in return. She will be remembered as one class act loved by everyone young and old. Manda was dearly loved by her family and many friends for her warm heart, giving spirit, unique talents, and drive to live each day to the max. She is preceded in death by her husband, Srbo Andrejich; parents Maria and Joseph Sertic; brother, John (Grace) Sertic. Manda is survived by her beloved children, son, Tom (Cintia) Andrejich; daughter, Sonja (Vinko) Mancich; her six loving grandchildren: Tony Mancich, Daniella (Dustin) Shurlow, Nick, Mitchell, Jacqueline and Christina Andrejich. She was a devoted and loving grandmother (Baba). Visitation will be held Thursday, June 22, 2017 at the Calumet Park Funeral Chapel, 7535 Taft St, Merrillville from 3:00 p.m. to 8:00 p.m. with a Pomen Service at 7:00 p.m. V. Rev. Marko Matic officiating. Funeral Services will be held Friday, directly at 10:00 a.m. at St Sava Serbian Orthodox Church, 9191 Mississippi St, Merrillville. Interment Calumet Park Cemetery. We have been blessed to have had her all these years and she will be truly missed by all who knew her and loved her. In lieu of flowers, memorial donations can be made to St. Sava Serbian Orthodox Church, 9191 Mississippi St, Merrillville, IN 46410, or Lifeline Humanitarian Organization, 200 N. Michigan Ave, Chicago, IL 60601. For further information please call Calumet Park Funeral Chapel (219) 736-5840. The Clergy, Executive Board, and Members of St. Sava Serbian Orthodox Church express condolences to the family of Nada Samardzija. Memory eternal. Nada Samardzija age 92 (March 9, 1925 – May 12, 2017) passed away Friday, May 12, 2017. She was an active member of St Sava Serbian Orthodox Church and its Circle of Serbian Sisters. Nada was retired from St Mary Medical Center with many years of service. She is preceded in death by her husband Nikola, daughter Mira and her parents Stojan & Milica (Mandic) Janjatovic also her brothers Dane & Milan. Nada is survived by her 2 beloved children Milan(Sharon) Samardzija & Milica (William) Maddocks; she was a devoted and loving grandmother (Baba) to her 3 cherished grandchildren Nadia (Frank) Jaeger, Mara Katherine Maddocks and Petra Samardzija, & three sisters in Serbia – Staka, Radmila and Smilija. Visitation will take place Monday, May 15, 2016 at the Calumet Park Funeral Chapel, 7535 Taft St, Merrillville, from 3:00 p.m. to 8:00 p.m. with Pomen Service at 7:00 p.m. V. Rev Marko Matic officiating. Funeral Services will take place Tuesday, directly at 10:00 a.m. at the St. Sava Serbian Orthodox Church, 9191 Mississippi St, Merrillville. Interment will take place privately at the New Gracanica Monastery in Lake Villa, Illinois. In lieu of flowers, donations can be made to St. Sava Serbian Orthodox Church, 9191 Mississippi St, Merrillville, IN 46410, Lifeline Humanitarian Organization, 200 N. Michigan Ave #502, Chicago, IL 60601 or Hospice of the Calumet Area, 600 Superior Ave, Munster, IN 46321. For further information please call Calumet Park Funeral Chapel at (219) 736-5840. The Clergy, Executive Board, and Members of St. Sava Serbian Orthodox Church express condolences to the family of Stella Markovich. Memory eternal. 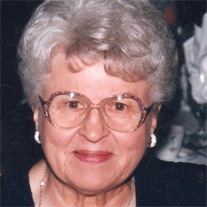 Stella Markovich, age 89 of Chesterton passed away on May 1, 2017 at Symphony of Chesterton. She was born on March 1, 1928 in Gary, IN to Nick and Katie Wukich, both of whom preceded her in death. Stella graduated from Gary Froebel High School and Indiana University in Bloomington, with a degree in elementary education. She began her teaching career overseas, where she taught in Germany and the Netherlands. After returning to the US, Stella worked as a teacher and a librarian in the Gary Community School Corporation and lectured on library science at Indiana University Northwest, Purdue University Northwest and Valparaiso University. Stella finished out her forty-five year career in education working as coordinator for the Urban Teacher Education Program with Indiana University Northwest. Stella is survived by her brother, Dan (Wenonah) Wukich of Chesterton; grandson, Joseph (Sean) Markovich of Valparaiso; step-son, Joseph (Remedios) Markovich of Valparaiso; nieces: Kathy (Robert) Pierce of Ogden Dunes, Donna (Timothy) Gallagher of Bristol, UK, Niki (John) Sakelaris of Porter; great nieces Hannah and Melanie Sakelaris; great nephews Nicholas Gallagher and Daniel Sakelaris, as well as many loving and cherished friends. She was also preceded in death by her husband, Charles Markovich on July 2, 2001, her sister, Rosemary Rukavina, and brother-in-law Emil Rukavina. Stella was an avid reader and belonged to book clubs at the Chesterton United Methodist Church and the Westchester Public Library. In addition to reading, she loved to travel and was an excellent cook. She enjoyed spending time with her wonderful neighbors at the Fifth Street Condominiums in Chesterton and also at the Duneland YMCA. She was a member of the St. Sava Serbian Orthodox Church and the Lake County Retired Teachers Association. Stella will be greatly missed by her family and friends. The family will be hosting a celebration of Stella’s life at a later date. A special memorial service will take place immediately following the Divine Liturgy Sunday, May 7, 2017 at St. Sava Church in Merrillville, Indiana. Everyone is welcome to attend. Memorial donations may be given to: St. Sava Serbian Orthodox Church, 9191 Mississippi St, Merrillville, IN 46410; Westchester Public Library, 200 W Indiana Ave, Chesterton, IN 46304; or to the Duneland Family YMCA, 215 Roosevelt St, Chesterton, IN 46304. Arrangements are under the direction of White-Love Funeral Home, Chesterton. The Clergy, Executive Board, and Members of St. Sava Serbian Orthodox Church express condolences to the family of Radojka Josifovski. Memory eternal. 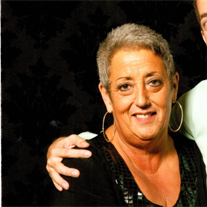 Radojka Josifovski, age 56, of Hobart passed away in her home surrounded by her loved ones on Friday, April 21 2017. Born in Raduc, Lika – Former Yugoslavia – on January 2, 1961 to the late Milan Pejnovic and surviving Darinka Pejnovic, she immigrated to the U.S. as a teenager and settled in Hobart, IN. She was an active member of St. Sava Serbian Orthodox Church who found much comfort in her faith. Rada was affectionately known as a woman who was just as beautiful on the inside as she was on the outside. She was a selfless person with a heart of gold who was always caring for others, cherished spending time with family and friends, and who found the most joy in loving her three sons, Sasho, Jovan, and Michael. While God sent her to us for a short time, she was truly an angel who left a lasting impression on many hearts. She was preceded in death by her dear Father, Milan Pejnovic, Aunt Danica Pejnovich, and Cousin Dusko Sunajac. Rada is survived by her loving children Sasho Josifovski, Jovan (Nicole) Josifovski, and Michael Josifovski; Mother, Darinka Pejnovic; Brothers – Dusan (Danica) Pejnovic, Jovo (Gordana) Pejnovic, Nikola (Vera) Pejnovic; as well as many nieces, nephews, cousins, extended family, Kumovi and dearest friends. Funeral Services will take place Tuesday, April 25, 2017, directly at 10:00 a.m. at St. Sava Church, (9191 Mississippi Street, Merrillville, IN) with V. Rev. Marko Matic, officiating. Interment, Calumet Park Cemetery. Visitation will take place Monday from 4:00 to 8:00 p.m. at Calumet Park Funeral Chapel, 7535 Taft Street, Merrillville, IN. A Pomen Service will take place at 7:00 p.m. May Her memory be eternal! For further info, please phone 219-736-5840. 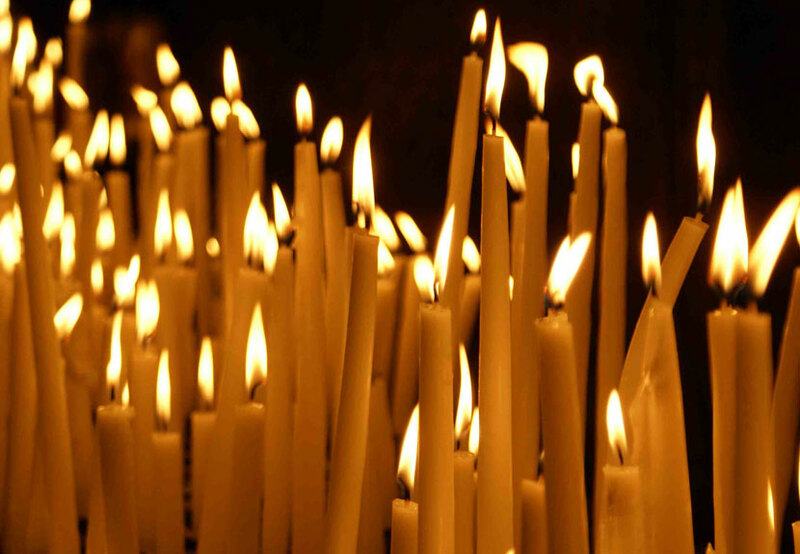 The Clergy, Executive Board, and Members of St. Sava Serbian Orthodox Church express condolences to the family of Mihailo “Mike” Bjelopetrovich. Memory eternal. Mihailo “Mike” Bjelopetrovich, age 63 (August 21, 1953 – February 26, 2017), passed away Sunday, February 26, 2017. Beloved son of the late Mirko and Zorka; Loving brother of Ljubica, Vida, and the late Bozidar; Fond brother-in-law of Janice; Cherished uncle of Tania, Alexandra, Nikolai, Anastasia; Great uncle to Victoria, Calvin, Lanardo; and fond cousin to many. Funeral Service will take place at 1:30 p.m. Saturday, March 4 at New Gracanica Serbian Orthodox Monastery, Third Lake. Interment New Gracanica Cemetery. Visitation will take place from 4:00 p.m. until 8:30 p.m. Friday, March 3 at Muzyka & Son Funeral Home, 5776 W. Lawrence Ave., Chicago, IL 60630 with Pomen (Wake Service) at 7:00 p.m. In lieu of flowers, a memorial has been established in his name. For more information, please call (773) 545-3800. The Clergy, Executive Board, and Members of St. Sava Serbian Orthodox Church express condolences to the family of Dragic Micic. Memory eternal. Dragic Micic, Sr., age 83, passed away on Sunday, February 5, 2017, with his loving family by his side. Soon after, he escaped communism crossing the Austrian border and finding his way to Paris where he lived and worked for three years. Dragic immigrated to the United States in 1959, and was proud to become a U.S. Citizen. He moved to Gary, IN and began work as a tool and die maker at the Budd Company where he eventually retired. In later years, he pursued his passion in Real Estate. Dragic was also a proud member of St. Sava Serbian Orthodox Church in Merrillville, IN. Dragic dearly loved his family and is survived by daughter Angie (Bill) Rendina, son Savo Micic, daughter Goca Weis (Matt), son Dragic Micic (Kara); and seven grandchildren, Brittani, Angelia, Anthony, Katija, Delphine, Marko and Christian; his sister Milica (Dragoljub) Knezevic, sisters-in-law Zagorka and Ljilja, and many dear nieces and nephews. Dragic is preceded in death by his brothers, Milan, Stevan, Bosko, Mihajlo, Milos and Ljubo. Visitation Services will take place Saturday, February 11, from 9:00-10:30 a.m. at St. Sava Serbian Orthodox Church at 9191 Mississippi St., Merrillville, IN 46410, followed by a Service at 10:30 a.m. with Father Marko Matic officiating. Private Burial. In lieu of flowers, donations may be made to St. Sava Serbian Church. For additional information, please call Rendina Funeral Home at (219) 980-1141. The Clergy, Executive Board, and Members of St. Sava Serbian Orthodox Church express condolences to the family of Kathy Slepcevich. Memory eternal. Kathy Slepcevich, age 66 (July 21, 1950 – January 30, 2017) of Crown Point, IN, passed away Monday January 30, 2017. She was born in Gary, Indiana on July 21, 1950. She was preceded in death by her parents, William and Emily Slepcevich. She is survived by her brother, William (Kimber- ley) Slepcevich of Naples, FL; nephews: Will Slepcevich of Naples, FL, and Evan Slepcevich of Orlando, FL; brother, Robert (Bud) Slepcevich; sisterin-law, Sherlianne Slepcevich, of Crown Point, IN; nephew, Robert Slepcevich of San Diego, CA; niece, Kristen (Justin) Locke; great nieces: Sara and Kate Locke, of Noblesville, IN. Kathy was a graduate of Lew Wallace High School and IU Northwest, a former Lake County Police Officer and recently retired owner of The American Family Insurance Agency in Crown Point, IN. Visitation will take place Friday, February 3, 2017 from 3:00 p.m. to 8:00 p.m. at Burns Funeral Home, 10101 Broadway, Crown Point, IN with Pomen Service at 7:00 p.m.
Funeral Services will take place Saturday February 4, 2017 at 10:00 a.m. at St. Sava Serbian Orthodox Church, 9191 Mississippi St, Merrillville, IN with Rev. Marko Matic officiating. Interment at Calumet Park Cemetery, Merrillville, IN. In lieu of flowers, donations in Kathy’s memory may be made to Crown Point Police K-9 Unit.